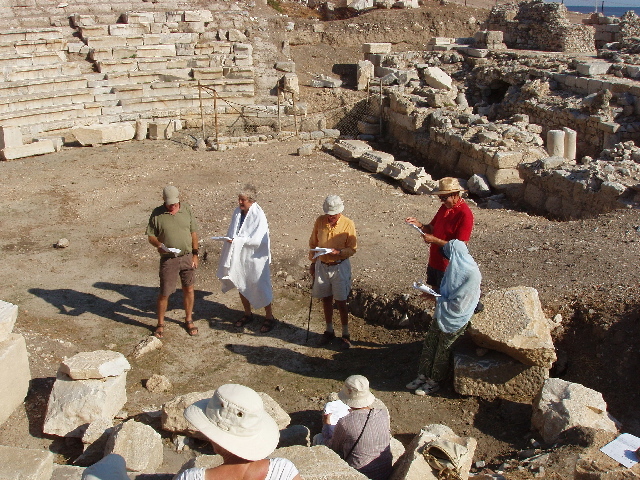 On this ACE study tour, we read a short version of The Bacchae by Euripedes in the theatre at Knidos. In the photo Pentheus, the young King of Thebes, has been persuaded by Dionysus to dress as a woman so he can spy on the Bacchantes. He is then torn apart by the women, including his own mother, who has been made mad and thinks he is a lion cub.